Bring your business cards as we kick off the 2017 Chamber Year with our 1st Networking Event!! NJ National will provide wine & cheese and there is no cost to attend. Make solid contacts, let the Chamber & fellow members know what's news with your company. RSVP the Chamber Office at, 908-766-6755. NJ National Golf Club is located at 579 Allen Road, Basking Ridge, NJ. 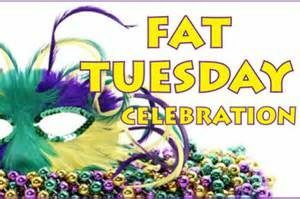 Join the Chamber for our annual Fat Tuesday Mardi Gras Networking Party! Games - Food - Beverages - Prizes & Beads!! Bring your business cards and make solid contacts. The Meyersville Inn graciously sponsors the food & beverage for the event. To RSVP, contact the Chamber Office at 908-766-6755. No Cost For Members To Attend. Meyersville Inn, 632 Meyersville Road, Gillette, NJ. Join us at The Vine Restaurant, Route 202, Basking Ridge, NJ and enjoy Happy Hour with fellow members over a pint! Drink specials and networking on cue! Show us your Irish - No cost to attend, cash bar. RSVP the Chamber Office at 908-766-6755. Join Fellow Chamber Members at the Bonnie Brae School located at 3415 Valley Road, in the Liberty Corner section of the Township, from 6-8pm. Bring your business cards and meet & market to fellow members. We will have a very special guest in attendance. No cost to attend. Lite refreshments provided by Bonnie Brae. RSVP the Chamber Office at 908-766-6755. Join fellow Chamber Members at the Offices of Keller Williams Towne Square, located at 222 Mt. Airy Road, in Basking Ridge, NJ, from 6-8pm. Learn from our area Police Members with a Crime Update and Tips to Prevent Crime. This annual meeting has gained popularity with members over the years and the information shared is tremendous. Q&A is provided. Time to network with fellow members is also part of the evening's agenda. There is no cost to attend this event. Refreshments are provided by the good people at Keller Williams Towne Square. RSVP the Chamber Office at 908-766-6755. Join fellow Chamber Members for Networking & Refreshments at Tarheel Total Pet Care, located at 1115 US 202/206, Bedminster, NJ. A great evening of networking, refreshments, tours of the facility are planned. 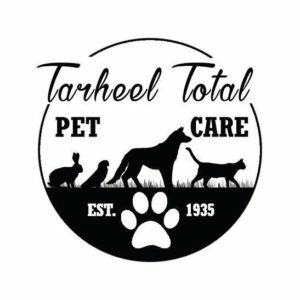 Refreshments provided by Tarheel Total Pet Care. No cost to attend. RSVP the Chamber Office at 908-766-6755. Join fellow Chamber members, employees, family members, for fun and relaxing evening of networking and socializing. Ticket price to be announced. Price will include pre-game networking, ticket to game, post game fireworks, etc. 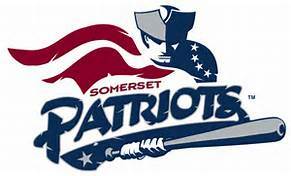 This annual Chamber event is a perfect way to meet & greet in a totally relaxed environment as we cheer on fellow Chamber Member, the Somerset Patriots! 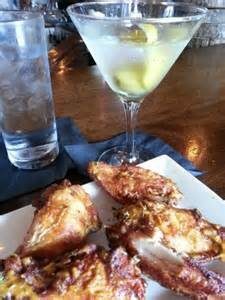 Chamber Networking Event Martinis & Wings! Join fellow Chamber Members at the Meyersville Inn, 632 Meyersville Road, in Gillette, NJ, from 6-8pm, for Networking & $5 Martinis, $9 All U Can Eat Wings and $3 Coors Drafts. Bring your business cards and a positive attitude as we gather to eat, drink and network. No cost to attend. Pay as you order for food & drink. When its time to relax after a long day at the office, your Chamber makes building your client base more enjoyable! RSVP to the Chamber Office, 908-766-6755. Join fellow Chamber Members of Aflac Insurance, as they host our October Meeting at THE WASHINGTON HOUSE, in downtown Basking Ridge, NJ, from 6-8pm. Bring your business cards and make new contacts as we invite all new members to this event. Great way for existing members to get acquainted with members. Refreshments provided by Aflac. No cost to attend. RSVP the Chamber Office at 908-766-6755. For over 20 years the Bernards Township Regional Chamber of Commerce has organized this well received, Free, community event. 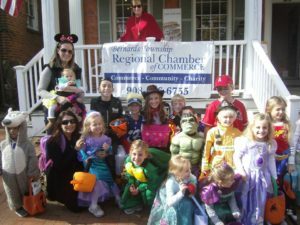 Come to the center of Basking Ridge and for two hours allow your costumed characters enjoy the fun of Halloween. Chamber Members provide treats to the kids and kids at heart, along with a little info for the parents. It's our way of saying "THANK YOU" for supporting our businesses year round! Refer to this post and our facebook page for a listing of all Chamber Members participating in this event! Join fellow Chamber Members as over 100 different businesses gather together to recognize those outstanding businesses that have excelled this past year. We celebrate all our nominees, recognize the overall winners and conduct a fantastic evening of networking! The Vine Restaurant is located at on Route 202 in Basking Ridge, NJ. No cost to attend. RSVP the Chamber Office at 908-766-6755. Food and beverages provided by our sponsors Lakeland Bank and The Vine. For over 20 years the Bernards Township Regional Chamber of Commerce has been providing this wonderful family event to share the spirit of the holidays. Join the Members of the Bernards Township Regional Chamber of Commerce for our Meet Santa event at 7pm, at Ridge High School! The children of Gotta Dance entertain everyone while Santa is enroute to the event. Chamber Members provide hot chocolate and cookies. Santa greets every child and presents each with a candy cane. No cost to attend this event. Please shop with Bernards Township Regional Chamber of Commerce Members this Holiday Season! A complete list of members is provided on this site. For additional assistance, contact the Chamber Office at 908-766-6755.